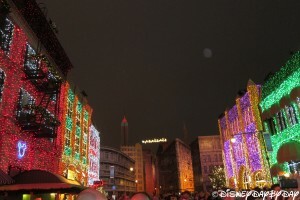 OOOOh Ahhhh! 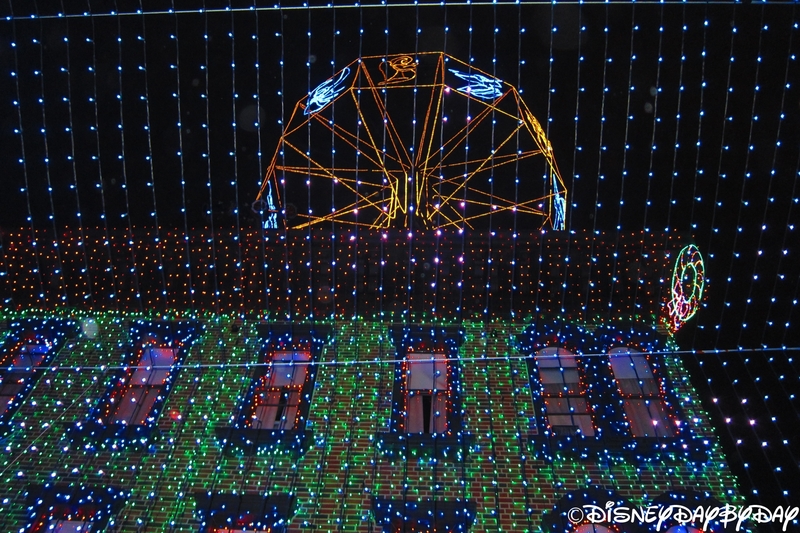 Yep, that is what you will be saying when Goofy flips the big light switch to turn on The Osborne Family Spectacle of Dancing Lights! 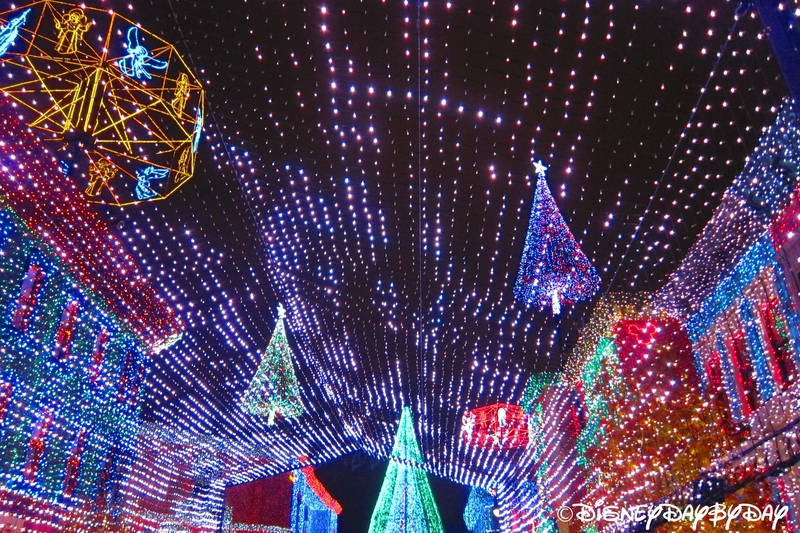 There are over 5 million lights that dance to some of your favorite Holiday classics such as Jingle Bells, Feliz Navidad, Here Comes Santa Claus and many more. 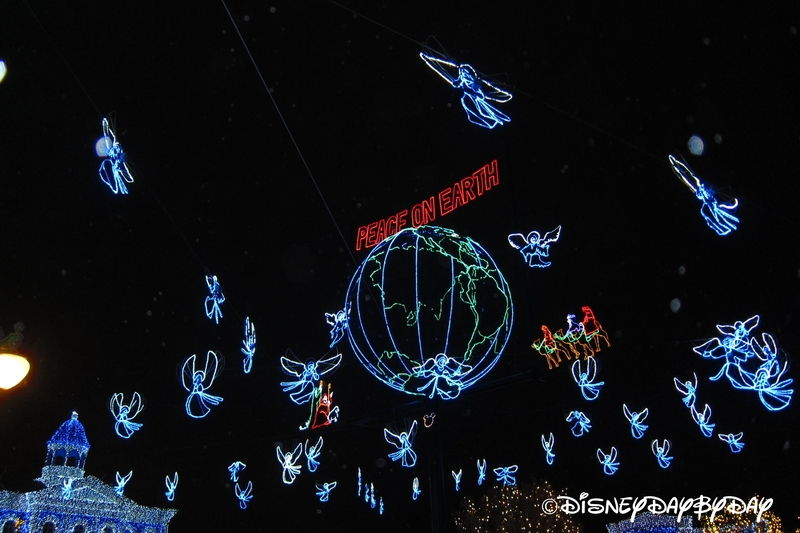 As you enjoy the lights, snow will fall from above. 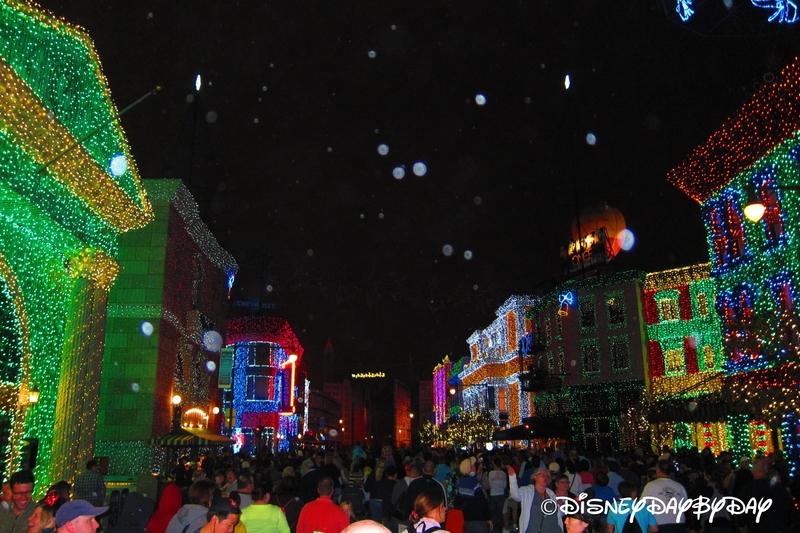 Yes, that’s right, snow in central Florida. Or, maybe it’s some sort of foam, but who cares, it’s white, and it’s fun, and it’s hopefully non-toxic. 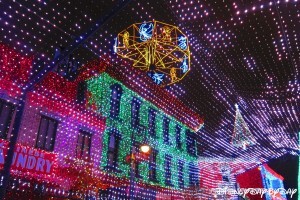 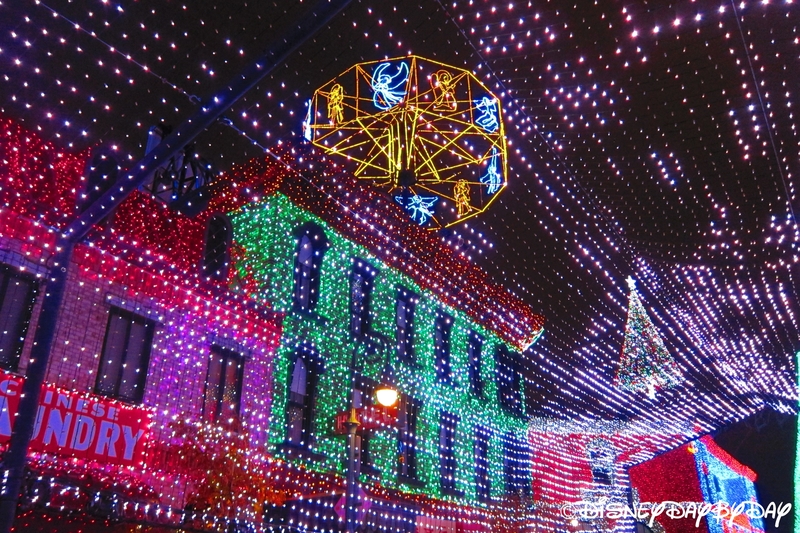 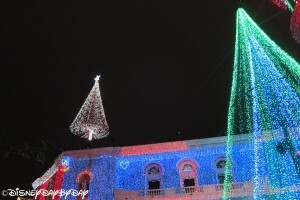 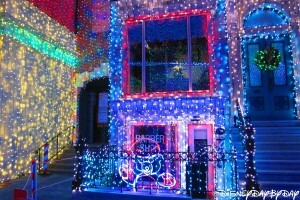 The display started at the Osborne home in 1986 growing from just 1000 lights to over 3 million in 1993. 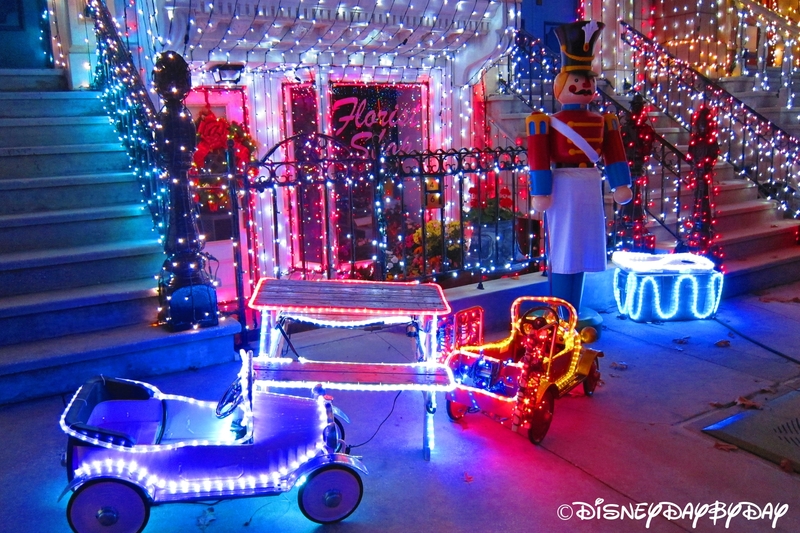 As you can imagine the neighbors were not too happy with the traffic that this display attracted, so the Osbornes bought the houses on either side of them. 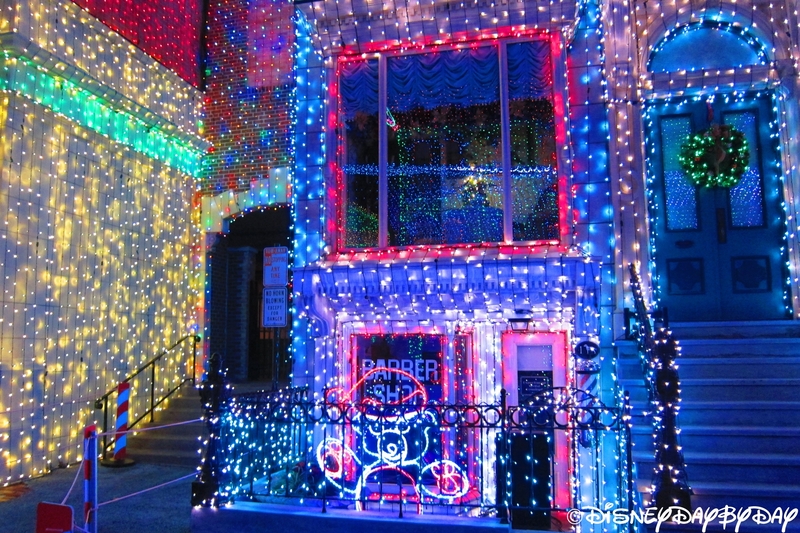 This worked for a couple years, but then other neighbors caused more legal battles and the State Supreme Court shut down the display in 1995. 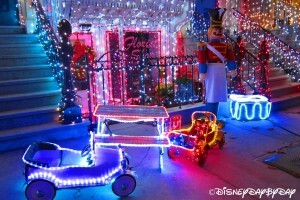 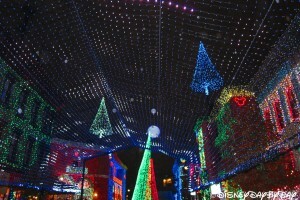 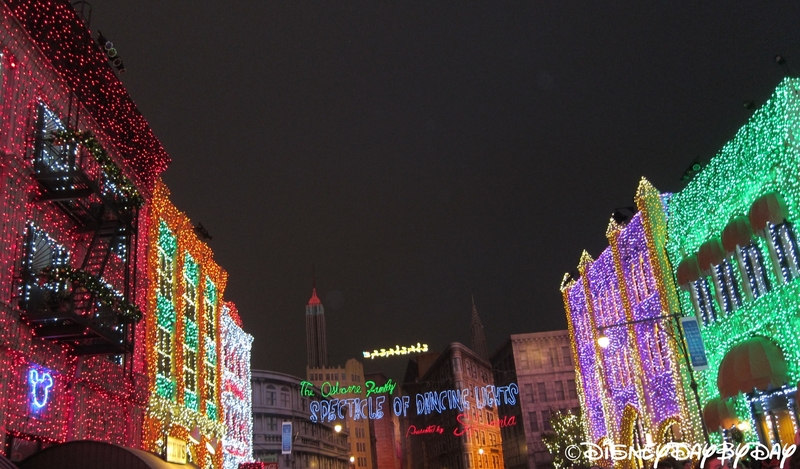 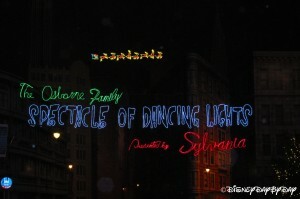 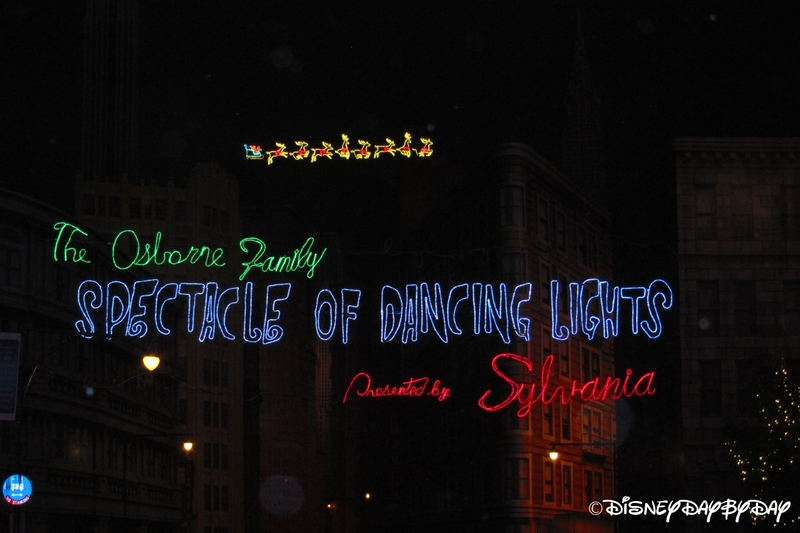 Disney approached the family and acquired the lights to display for us on the Streets of America at Hollywood Studios. 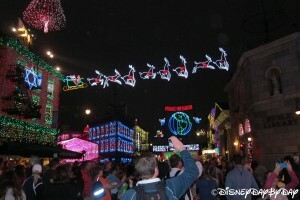 As you can imagine the Osborne lights do draw a crowd. 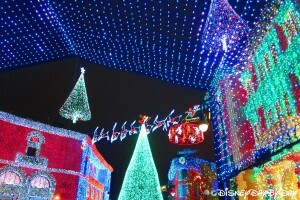 If you want to see the lighting ceremony be sure to get there early for a spot. 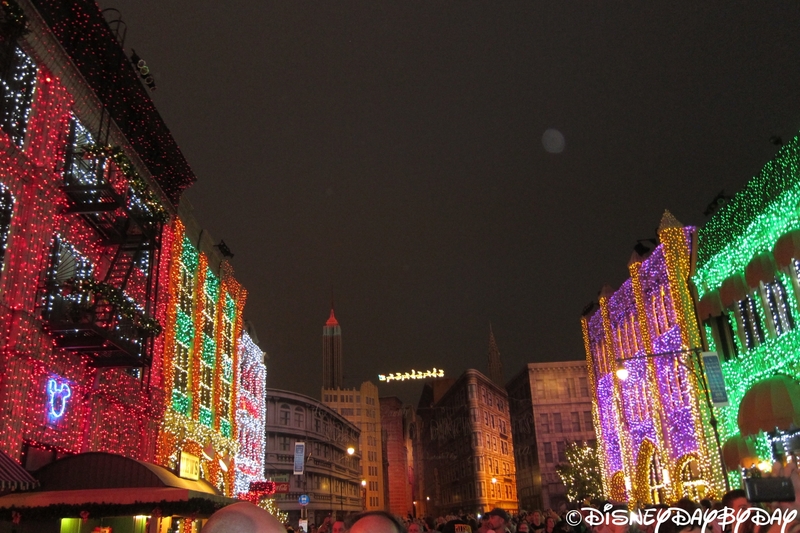 After the opening show, stay put for 20 minutes or so and the crowds begin to thin enabling you to enjoy the lights. 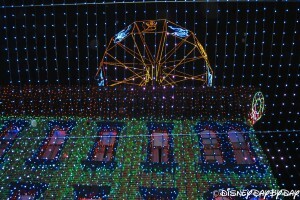 This is Disney so remember to be on the lookout for Hidden Mickey’s, there are over 40 of them. 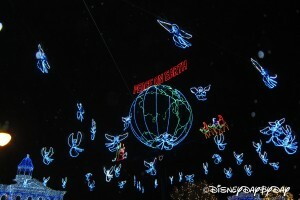 Some other fun facts are that the 5 million lights end to end would be over 350 miles. 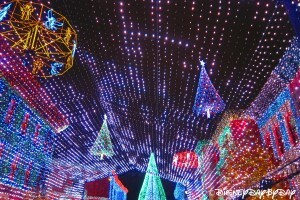 The large Christmas tree itself has 58,000 lights. 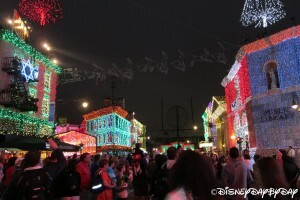 And finally they use over 32 miles of extension cords to get everything powered up. If you aren’t ooooh and ahhhing yet, then you need to be sure to come to the Hollywood Studios and see the lights for yourself.